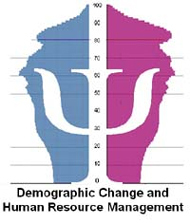 Throughout the 21st century, demographic change will lead to significant transformations in the world of work. Most importantly, the number of young and highly qualified employees is going to decrease and organizations will have to increasingly rely on older people. The goal of this research project is to provide individuals, organizations, and policy makers with empirically based recommendations on how to address age- and aging-related questions. 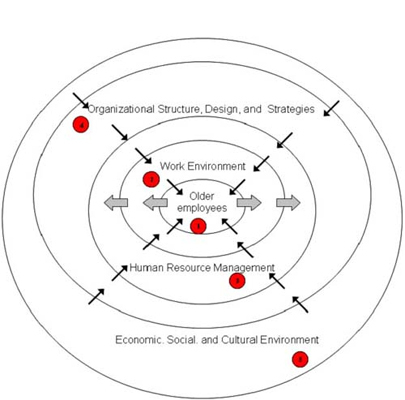 The studies conducted in this project can be integrated in the following research framework: "The Onion Model", adapted from Farr, Tesluk, and Klein (1998). Members of the research group: Prof. Dr. M. Frese, Dipl.-Psych. Hannes Zacher.